Big news April 5, 2009. 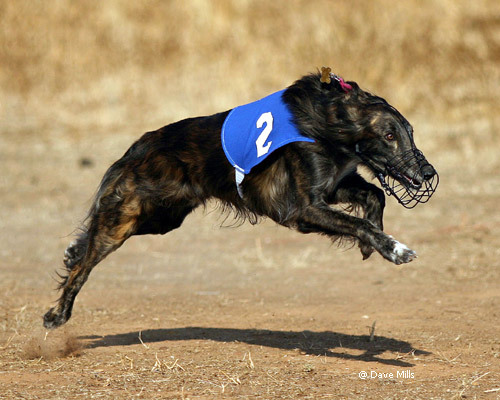 Wiley ran well at the Races at Sally Barons Ranch and won his final points to get his Straight Racing Championship (SRC). This happened just a week in advance of his fourth birthday. He had his best race ever and seems to be getting better with age. We're very proud of him and he now completes our kennel with all of our hounds having SRC's. 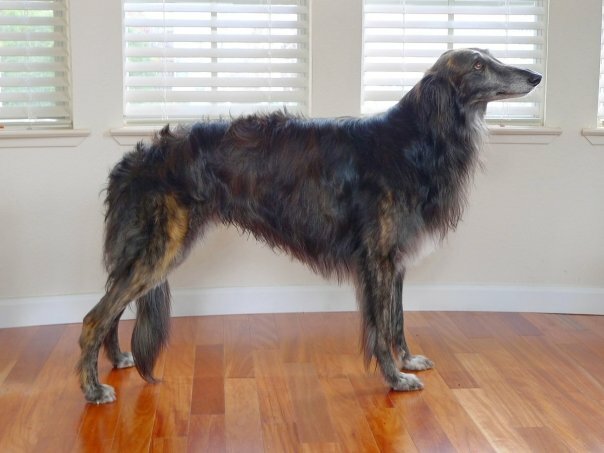 Wiley's a dark red brindle, quite a common color for a silken windhound, but not one you see a lot in the show ring in California. I'm convinced it's only because they disappear when it's time to load cars to go to the show! Wiley is EXACTLY the same color as our leather sofa and his beautiful gold stripes act like camouflage. Many, many times we walk through the room right past him saying, "where's Wiley?". We do it so often, his nickname has become Waldo! He's always been a happy, tail wager but is something of a momma's boy. He's the only hound at Scirocco who can be counted on not to stray too far from us when off leash. While he doesn't generally want to be a lap dog, he definitely wants to know we're close by. Wiley was a little slower than the others to pickup on racing and initially seemed to think the point was to see who could find mommy the fastest, but now that he's focused he's also on his way to a title, winning his first racing points at the River City Racing Association's Thanksgiving meet. 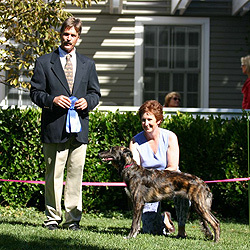 In his first show, a Silken Windhound specialty, he won his puppy class and just before his first birthday in 2006 he brought home several Best Junior Puppy in Group ribbons from the Sacramento Rarities show. At the Rarities show in December, he won his first 5 point major with a Winner's Dog ribbon. And along the way he picked up an IABCA international junior puppy title! 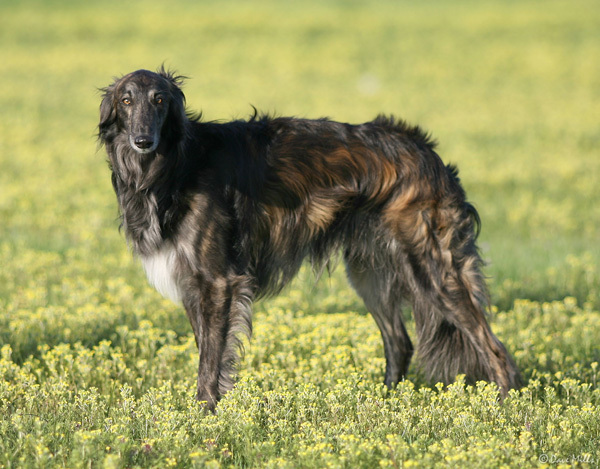 Wiley has a thick curly coat and lots of fringe that looks spectacular in a breeze. He also has a big deep voice and isn't afraid to announce when he's ready for attention! While he's clearly the omega dog in our little pack, he makes sure he gets his share of love and snuggles. He loves treats, has a healthy appetite and is a champion counter surfer He doesn't like grooming but doesn't mind standing about in the rain so that he NEEDS grooming. Our boy Wiley always surprises us!